Healthcare entrepreneurs are continuously working to break the status quo by providing unprecedented products and services to improve patient outcomes and lower healthcare costs. 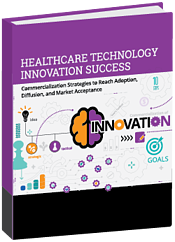 However, in spite of innovations being technically and functionally superior to competing solutions, some studies project commercialization failure rates as high as 90%. Complete the form on this page to download this informative white paper now.